Acclaim Group Limited originated in 1992 as Acclaim Datasystems, specialising in sales and support of new and existing computer systems, primarily in networked environments. Acclaim quickly developed a reputation as a service orientated company with a good knowledge of both our clients’ technical needs and an understanding of how IT can become an integral part of their overall business.  In 1995 Acclaim Data Systems became Acclaim Group Limited, altering our market position from primarily a hardware and network vendor, to a business solutions provider. Although we continued to provide a complete computer solution for our clients, our focus became developing solutions that centralised all business information; utilising generic accounting systems as the backbone to a completely integrated business solution. Since 1995, Acclaim has developed many custom solutions for clients, utilising proven industry standard accounting software, proprietary software developed by Acclaim and custom applications developed specifically to suit a clients individual requirements. Acclaim has been supporting MYOB EXO (formally Exonet) since 1999. We are the longest established and most experienced MYOB EXO Support Partner in Australasia. We understand MYOB EXO. We also appreciate what our customers require from an ERP, and pride ourselves on being able to listen. Acclaim has a proven track record in developing innovative solutions around MYOB EXO ERP systems, and we have always had a dedicated software development team, based in New Zealand. Innovations include industry-specific software solutions, mobile solutions and website integration. Our dedicated team have the skills and expertise to ensure that all aspects of your ERP requirements can be addressed. Business analysis, software development, report writing, accounting, general support and network hardware support. We have all of these skills in-house, ready for when you need them. to ensure that all aspects of your ERP requirements can be addressed. Acclaim have a depth of experience across a wide variety of industries. Our experience and focus on innovation, and optimisation ensures that we are always developing and finding new ways for our clients to excel. We work with a wide variety of businesses, in all industry types and sizes. Acclaim is large enough to ensure that help is always at hand from someone you know and trust, but small enough to focus on delivering exactly what you want for your business. Acclaim has been implementing ERP systems for over 20 years. We listen to our clients and have developed a comprehensive scoping and implementation methodology. This means that we fully understand your requirements before the implementation begins, ensuring the project is completed on time and within budget. Providing a complete technology solution for our clients; All our accounting support and development staff are fully MYOB Exo and MYOB Advanced trained and accredited. Acclaim has clients throughout New Zealand (predominantly Auckland) and in Australia and Fiji. Typically 10+ employees with an annual turnover of 3 Million dollars plus. Adaptation and development of an On-line Auction system for a listed Japanese Company. Development of an integrated SMS/website booking system for a nationwide franchised cleaning company. Development of a Nursery Management system and implementation to one of New Zealand s leading Nursery Growers. Developed an online claims management system for a leading Insurance Company. Development of a Mobile Stock management Solution. Development of a Mobile Service and Maintenance Application for a Global Industrial Solutions Company.